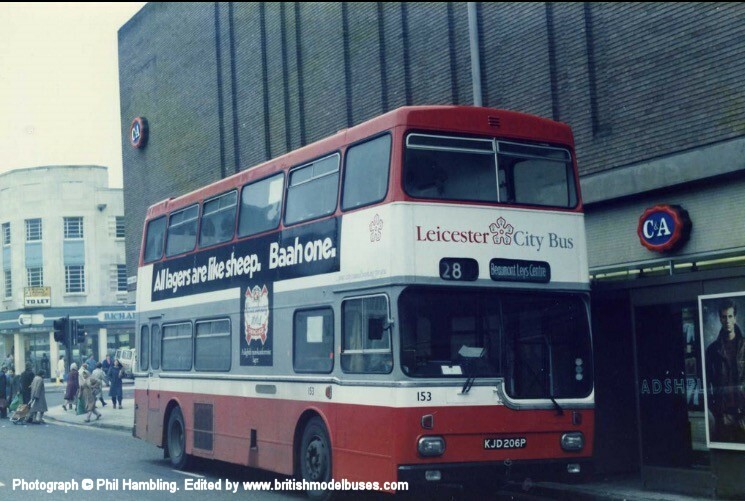 This photograph taken in Leicester during March 1986 shows fleet number 153 (KJD206P) ex MD6. 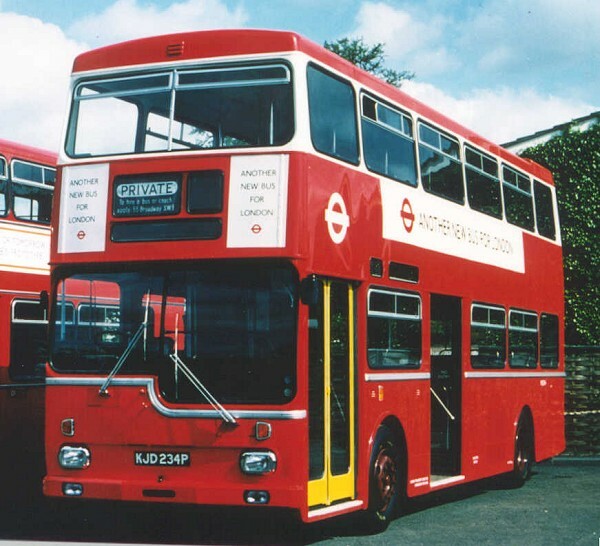 This is the actual vehicle represented by Britbus model N 6201 X. 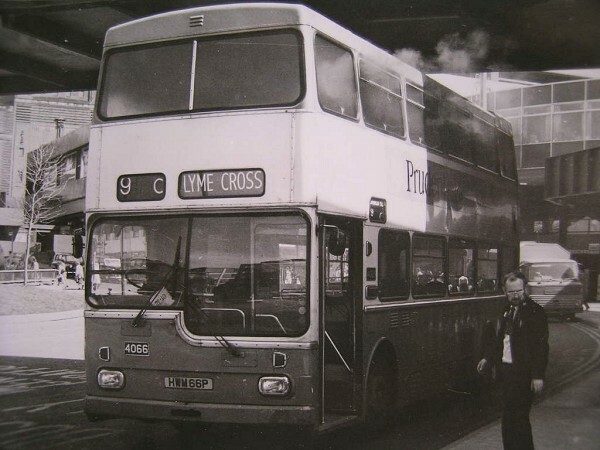 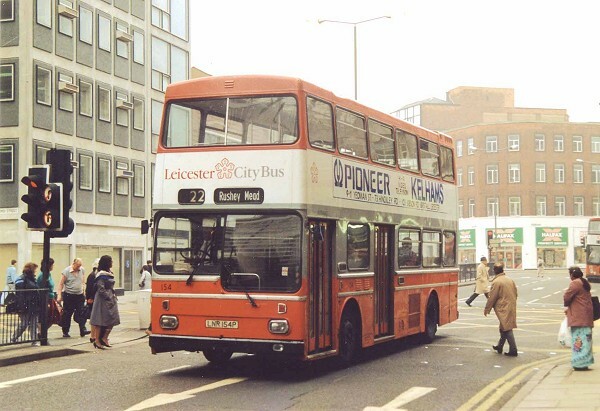 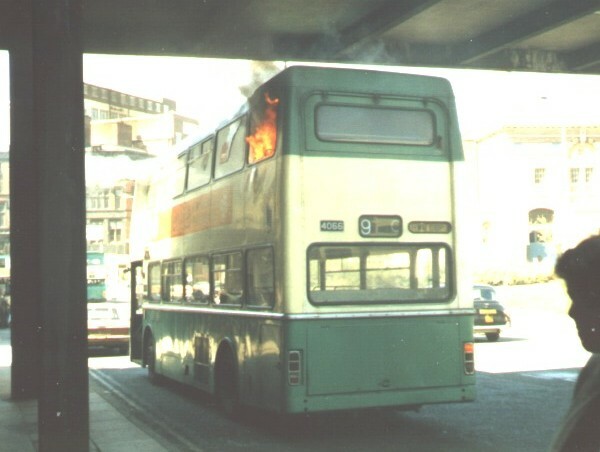 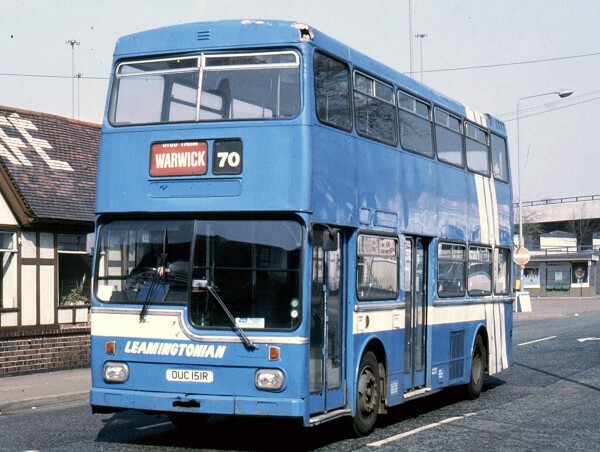 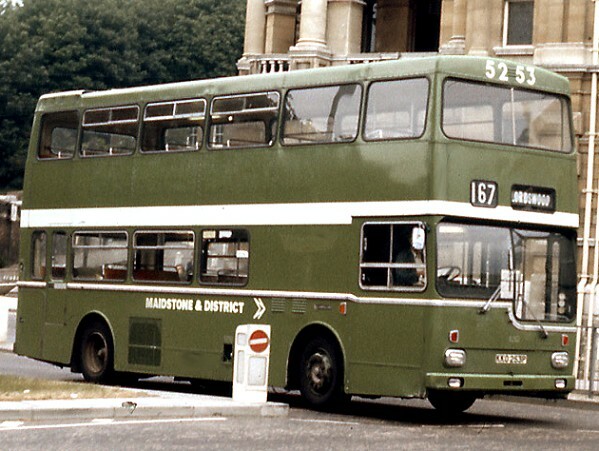 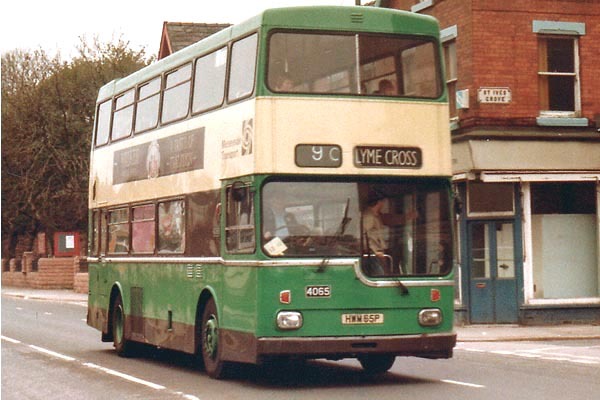 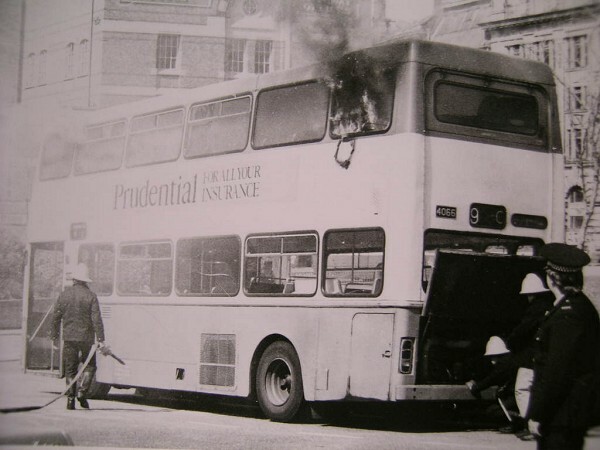 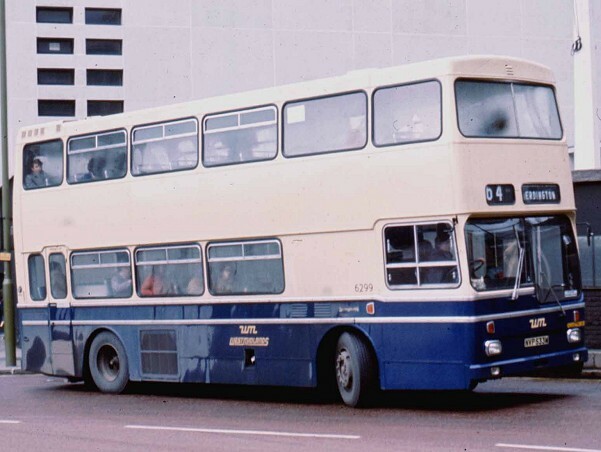 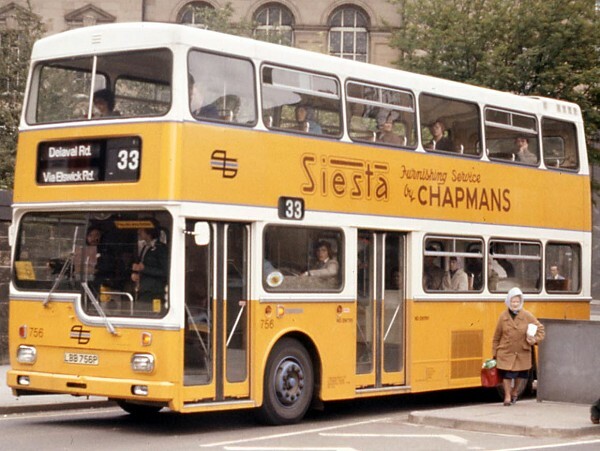 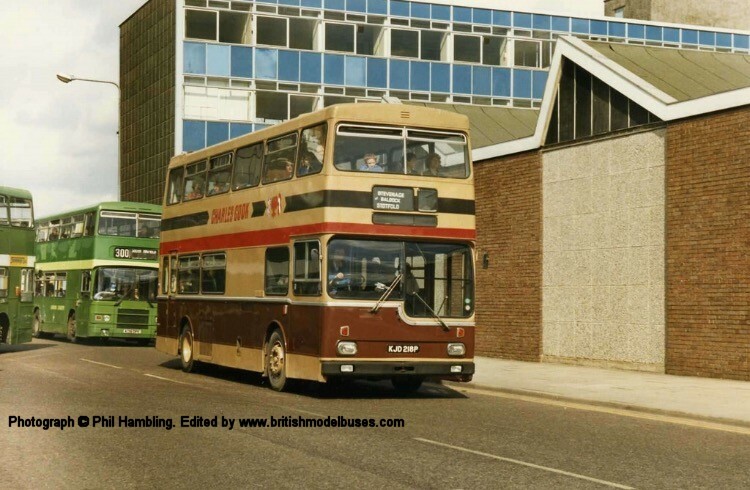 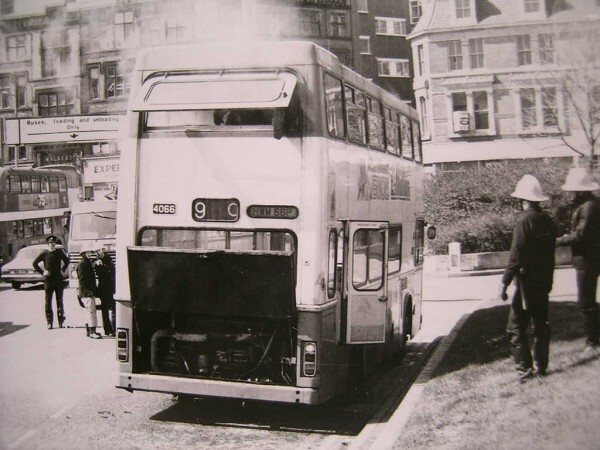 Fleet number 153 was an ex-London Transport vehicle (LT fleet number MD6), fleet number 154 was new to Leicester. 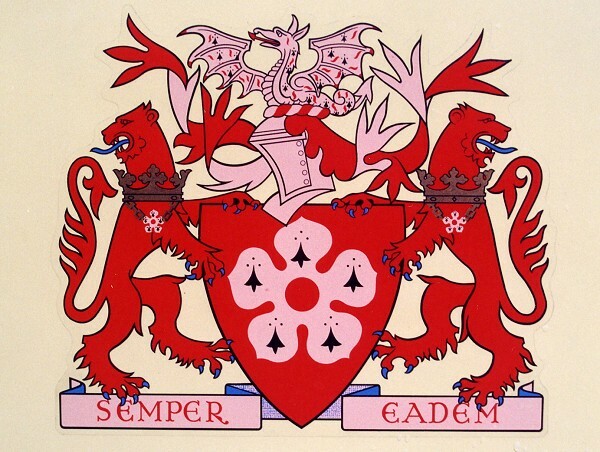 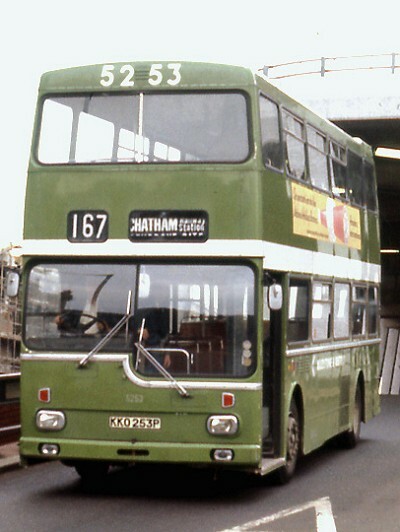 This photograph shows a close up of the crest that can be seen on the offside of fleet number 301 (GJF301N) in the photograph above. 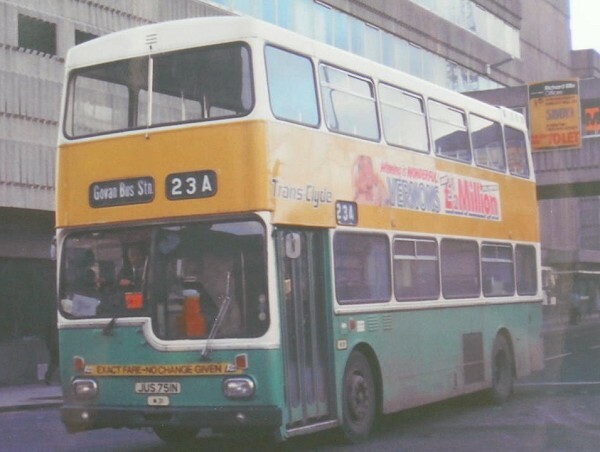 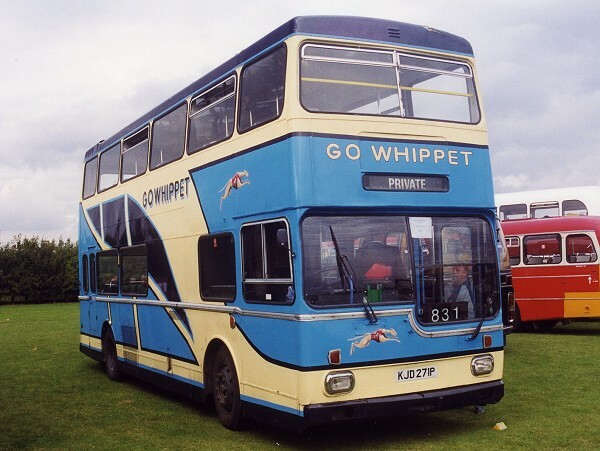 This photograph shows the nearside view of fleet number MD34 (KJD234P) the actual vehicle to be represented by the Britbus - MBF commissioned members only model N62-001. 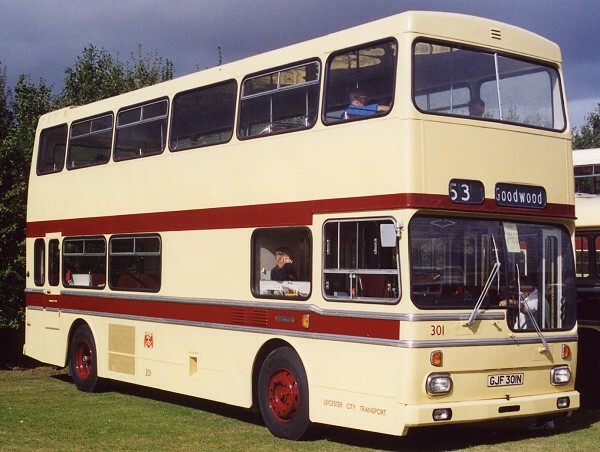 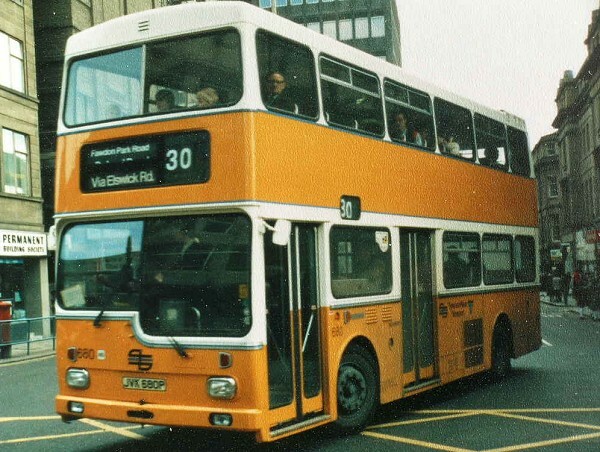 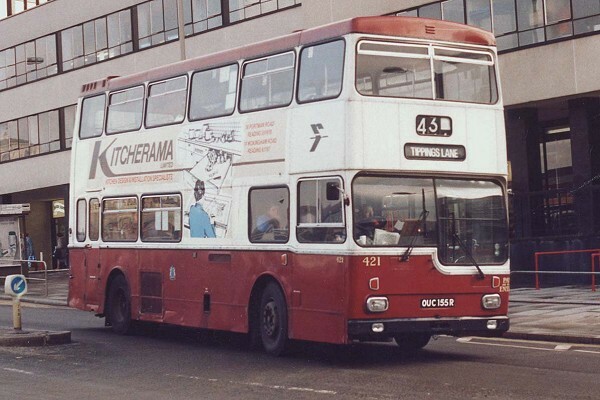 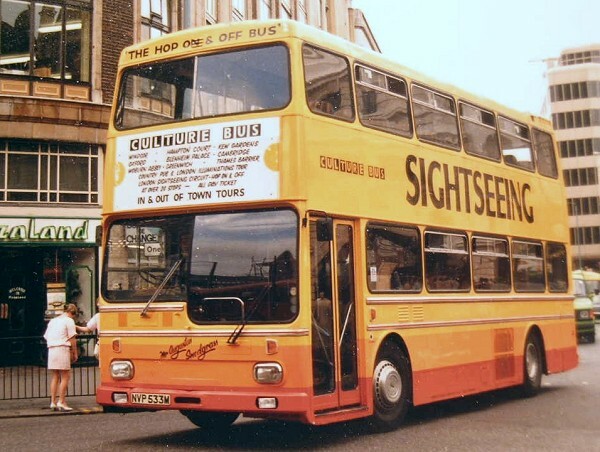 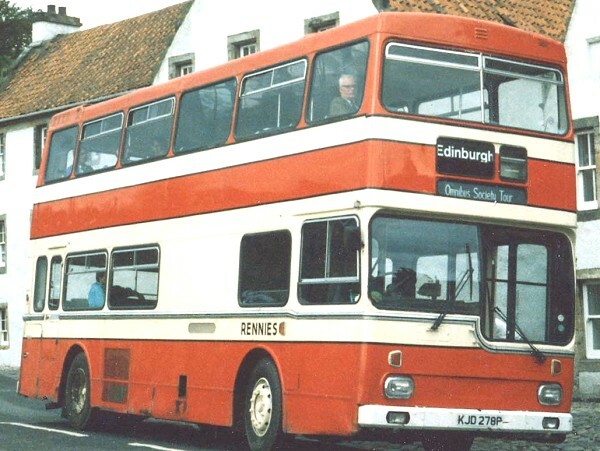 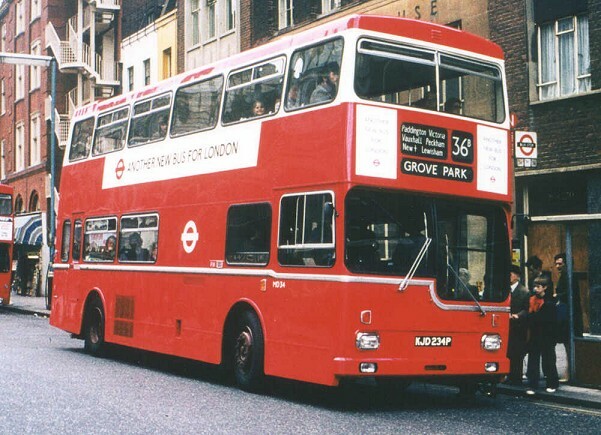 This photograph shows the offside view of fleet number MD34 (KJD234P) the actual vehicle to be represented by the Britbus - MBF commissioned members only model N62-001.